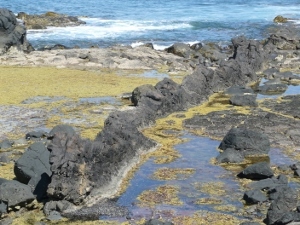 Phillip Island history started hundreds of millions of years ago. Over time and due to volcanic activity, ice ages and weathering, it has evolved to become the island as we know it today. Evidence of the volcanic activity is still visible. At Kitty Miller Bay basalt (lava) columns and dykes are easy to find. In Devonian times pink granite was formed and later exposed by weathering. On Cape Woolamai the remains of a pink granite quarry are still able to be seen. Quarrying began in 1891 and the ketch "Kermandie" was one of seven vessels transporting the cut blocks to Melbourne. Unfortunately the Kermandie sank without trace in 1892. Quarrying continues until 1893 when the contract for supplying granite for the Equitable Life Assurance building in Melbourne was completed. Take the Cape Woolamai Circuit Walk on Cape Woolamai and visit the disused quarry at low tide to see the cut blocks still there. 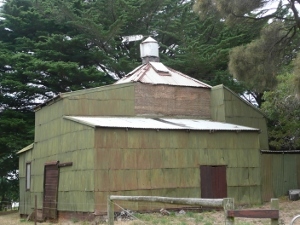 The Bunurong people were the first visitors in the Phillip Island history. Some members of the community would probably have been on the island when in January 1798, George Bass sailed into what he named Westernport Bay. The colony of New South Wales had been settled in 1788 and exploration had begun of the new continent. The name Bass lives on through several places named after him. These include Bass Strait, between Victoria and Tasmania, and the township of Bass. You could possibly have driven through Bass on the way to Phillip Island. Exploration of the area continued in earnest and Lieutenant James Grant arrived in 1801 and anchored near the current town of Ventnor. He planted the first crops to be planted in Victoria on Churchill Island – he named the tiny island after a Devon farmer, Mr John Churchill, who had given him the seeds. He also built a blockhouse but the location of this building remains a mystery. Lieutenant Grant never returned to the island but when Lieutenant Murray arrived later in 1801 to further map the coast, he found corn, wheat, oats and barley plus a few vegetables had flourished. How amazing would that have been and such a notable part of Phillip Island history! Churchill Island today operates as a heritage farm. 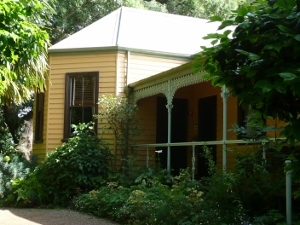 A house built by Mr Samuel Amess, owner of the island from 1872, still stands, surrounded by cottage and kitchen gardens and outbuildings. It remained in the Amess family, being passed down to his son and grandson, also Samuel Amess, until 1929. 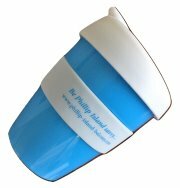 Lieutenant Murray made the first recorded name as Phillip Island – after Governor Phillip, the first governor of the new colony who had arrived with the first fleet in 1788. Previously it had been known as Snapper Island. After these visits probably the only other white people to come were sealers, who lived rough on the island hunting the plentiful seals in the area for their fur and blubber. In 1826 Captain Wright and his crew set up a small battery of two six pound guns at Rhyll, naming it Fort Dumaresq. There was not enough water for a permanent settlement so they moved to Settlement Point (Corinella) on the mainland. The first permanent white settlement began in 1842 when the McHaffie brothers leased the island as a sheep run. They cleared some of the native vegetation and introduced rabbits, whose descendants are still in large numbers on the island. Around 1865 surveys were made and the land opened up for farming in 1868/69. Small holdings later proved to be unsustainable and eventually the island was owned by just a few families. An important and fascinating development was the introduction of chicory growing, with the first crop grown in 1870. Today some of the old kilns can still be spotted around the island. One introduced species which has a special place in the hearts of anyone connected to Phillip Island is the koala, which was first introduced in 1880. 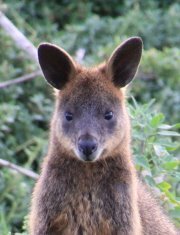 Numbers struggled due to loss of habitat and increased road traffic, with the Koala Conservation Centre opened in 1992 to help maintain their presence on the island. Over time the towns of Cowes, Rhyll and Ventnor ( Cowes and Ventnor named after towns on the Isle of Wight in England, and Rhyll after a town in Wales)) were established. A striking aspect of Cowes is the beautiful avenue of golden cypress lining Thompson Avenue. The avenue was the idea of Mr Thompson who was president of the Progress Association. Planting began in 1912 and was completed in 1935. Now recognised by the National Trust as an Avenue of Significance, it is lovely to drive under the canopy and then come to the end of Thompson with the bay vista spread out ahead. During this time access to the island was via boat with ferries running between Newhaven and San Remo, plus Cowes and Stony Point. An interesting part of Phillip Island history is the start of motor racing. Between 1928 and 1938 cars would be ferried over and races run on a rectangular track – which still exists today but as normal roads! 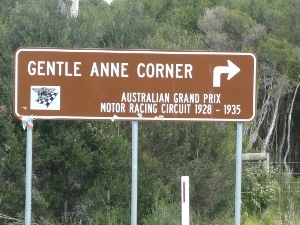 Some of the “corners” still have their signs, such as “Gentle Anne” on Gap Road. This was the beginning of grand prix racing in Australia. The connection with racing continues today with the Phillip Island Circuit, host to many events including the international motorcycle grand prix. In 1940 the first bridge across the channel at San Remo was built making Phillip Island much more accessible as a holiday destination. The original bridge was replaced by a more modern concrete design in 1969. More townships became established at beach locations, with surfing bringing many enthusiasts to the island to surf at Cape Woolamai, Smiths Beach and Cat Bay among others. Many more visitors came to see the koalas and also the little penguins at Summerland Beach – now one of the most popular tourist attractions in Australia.